MiG-29 fixed in rev 911. SarahWalker wrote: MiG-29 fixed in rev 911. Could you please re-test and see if this fix also applies for Giants? Can confirm the fix also fixes Giants. Powerslide fixed in revs 912-914. Rev 915 fixes Descent Freespace. EDIT2: V2 fatal texture upload bugs can be found in Interstate 76 Nitro (and probably gold)'s 3dfx glide renderer. Easily reproducible by firing (it also makes pcem terminate itself afterward). Also happens on voodoo interpreter. It also happens on Voodoo Graphics, but at a slower rate. * The in-game menus drop down to single-digit FPS. * A Pentum MMX166 appears to be on the low end for playing it - My CPU couldn't run the emulated MMX233 faster than 60-70% during gameplay, and lagged near the end of the game. * A Voodoo 2 also appears to be on the low end for playing. FPS dropped during graphics-heavy scenes. Scorched Planet works (with the diamond monster drivers ONLY). Works better than vmware player + nglide on windows xp. The diamond monster CD drivers, can be found in the vogon site, has some 3D demos, not all of them work (if anyone wants to check that). Sentinel Returns (1998) works perfectly in Glide mode. The longest journey works. Haven't played it through but the first hour shows no problems. I hope it stays that way. 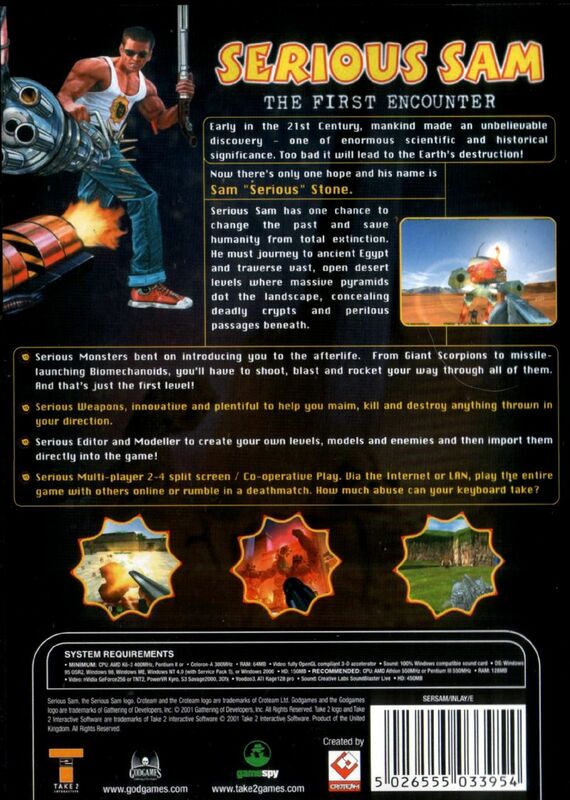 Can you add Serious Sam: The First Encounter (2001) and Serious Sam: The Second Encounter (2002) to the list. They work on both Win95 and Win98 with Voodoo2. The only problem is that game is very slowed down because it needs a more powerful graphic card like Nvidia GeForce2. I didn't say GF2 needs to be added to PCem. I just said that both games work fine with GF2 64mb. If we get past Voodoo2 that will be a success. The OP never gets edited and i've already reported Serious Sam a few times earlier with bug reports as it was intended to work on the Voodoo2. Sam's a CPU hog designed for the 7th gen; a Geforce2 won't help this, not even a Voodoo5 6000 will help this. Well, we can only wait for next more powerful graphic card to be added to PCem. If I understood correctly, Sam should work without a problem with Voodoo2 but there is a bug in PCem that makes Sam work very slow. I see that in some cases when it's 60 fps that the game is still working very slow. It's not lagging but it's just slowed down. Is that fixable or I need something like Voodoo3 or Banshee? Sam running slow on Pentium MMX is NOT a bug! There are much faster CPUs PCem doesn't emulate that Sam would also run slowly on! In addition, PCem doesn't skip frames. I see that original Unreal has been added already. I have tested it and it works fine with 3dfx Voodoo2 SLI like Serious Sam but it is slowed down due to weak CPU. Are you ready to make Pentium II or are there still problems? Unreal runs fine (and better starting from version 218). It's your host computer that's slow and can't handle all the frames at once. Adding (actual) Pentium II emulation won't fix this for you. Perhaps there's also a generational issue with regards to performance acceptance as well, as getting 25fps on a Pentium running Unreal was once a good thing. Are you sure it's because of my old PC? In situations when it's running smooth 60 fps it's still running slow. It's not lagging in those moments but it's like in slow motion. Yes. PCem doesn't frameskip. That triple core Athlon II won't give you much V2 SLI action. I'd expect it to only ever do well with Pentium 75. To get V2 SLI going great you would need a relatively recent Intel Core i5-i7 @4GHz+. Yes. AM3 CPUs are extremely lackluster when it comes to IPC performance which PCem needs. I have some slowdown issues running a Pentium 300 at full speed on some games with a 6700K, a Pentium II will murder both of our CPUs. (And yes, I'm aware that I requested SS7/AGP support a while back). You're better off trying to use DosBox for that era of games or purchasing a GoG copy (it's on sale for $1 atm). I got Unreal Gold on Steam when there was a 20th anniversary of the game. I'm the a gamer type who wants to play a game in its recommended configuration. That's why I got myself a PC from 1999 and I'll upgrade it to Pentium III, Nvidia GeForce4, etc. for retro gaming.